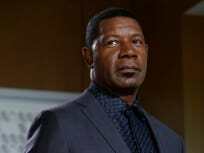 On Incorporated Season 1 Episode 10, Elizabeth and Laura deal with the fate of the clinic, while a thief is found and a killer is hunted on the season finale. 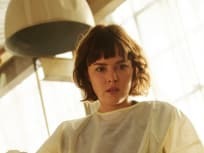 On Incorporated Season 1 Episode 9, Elizabeth and Julian put their bold plan against Inazagi in motion, while Ben's ongoing investigation leads to a shock. On Incorporated Season 1 Episode 8, Ben ends up putting his life on the line with his backup plan when the strategy to rescue Elena misfires. On Incorporated Season 1 Episode 6, Laura relives the painful events of eight years ago that forever changed her life and her relationships. On Incorporated Season 1 Episode 5, Roger faces pressure to complete a vital project, while Ben improvises to keep him from discovering the truth about Elena. 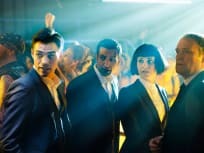 On Incorporated Season 1 Episode 4, Aaron and Theo plan a heist, Theo defies an order to cripple a basketball prodigy, and Roger tries to find Ben's secrets. On Incorporated Season 1 Episode 3, Ben, Elizabeth, and Julian to plan a defection when an exec from a rival company offers to divulge valuable secrets. 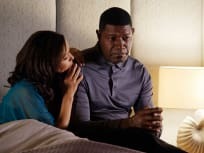 This is Incorporated Season 1 Episode 2, "Downsizing." 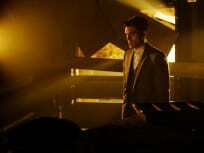 It is the second episode of Syfy's new series, Incorporated, about a future run by a large corporation. On Incorporated Season 1 Episode 1, In 2074, where corporations govern all, one man must risk exposing his true identity to find his lost love.